The Waikato Stud-based Savabeel sired his 18th Group 1 winner when Nicoletta headed home a quinella for the stallion in Saturday’s New Zealand Thoroughbred Breeders Stakes at Te Aroha. The five-year-old mare led all the way to beat Supera by a head with Australian raider Luvaluva a further three-quarters of a length back in third. 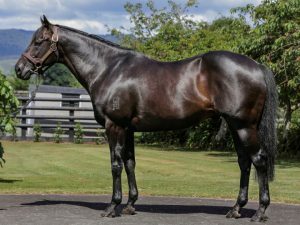 Savabeel, a son of the champion Zabeel, has four lots catalogued at the coming Inglis Australian Easter yearling sale.